So pleased to see Doughnuts mentioned in this news story: Congratulations to the winners and thanks to Karen King and Linda Bromyard for organising it! So I’m running this course with Writing West Midlands, for all aspiring children’s authors out there…. Moseley Exchange, 149-153 Alcester Road, Moseley, Birmingham. B13 8JP. Would you like to write the next Horrid Henry, Harry Potter or Hunger Games? Join Leila Rasheed for this six week evening course which will use writing games and exercises to explore the exciting and diverse field of children’s literature, and literature for teenage readers. Topics covered will include: creating unforgettable characters, inventing original plots, shaping scenes and stories for maximum tension, using genre and busting genres, creating powerful story through point of view, finding your theme, understanding age ranges and writing ‘within hearing’ of children and teenagers. The course will also briefly cover market trends and issues in UK children’s publishing. PLEASE NOTE: This course is for adults who would like to write fiction for children and teenagers. It does not cover picture books. Leila Rasheed is the author of three books for ages 9 -12, published by Usborne, and several publisher-led novels for children and teenagers (8 published in 2 years!). 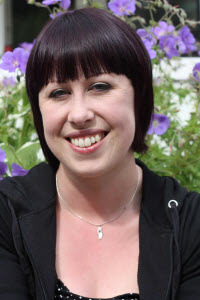 She teaches Writing at the University of Warwick, where she gained a distinction in an MA in Writing. She also has an MA in Children’s Literature. 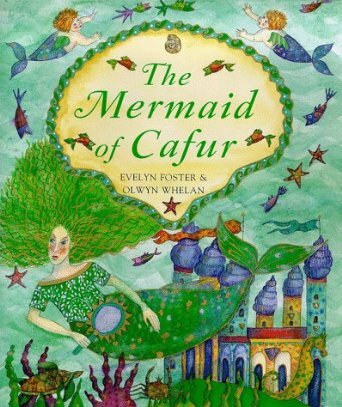 Previously she was children’s bookseller for Waterstone’s in Brussels. £99 for all six sessions. The review makes me want to read this! 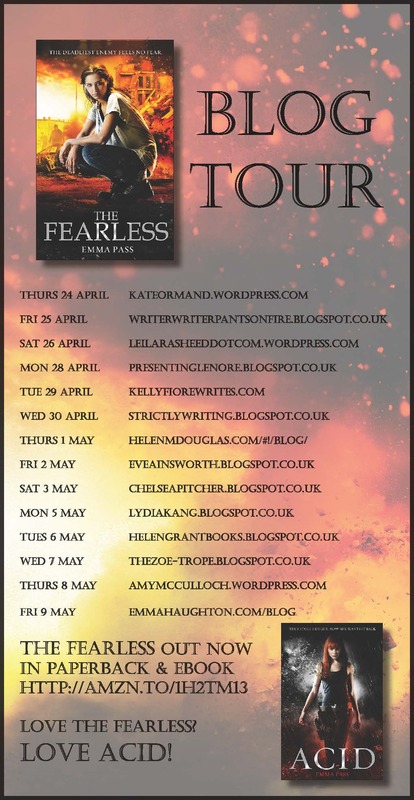 I’m really pleased to have Emma Pass guesting on my blog today. She’s the author of two dystopian YA novels, ACID, which has been picking up some excellent reviews, and THE FEARLESS – out just a couple of days ago! Here, she writes about one of the books that inspires her. I am a prolific reader – my husband tells people I’ve got a ‘reading habit’ – and every time I finish a book I really love, I find myself thinking, ‘I wish I’d written that!’ So choosing just one book for this post has not been an easy task. The story then follows the lives of a group of people who’ve managed to survive the deadly ‘superflu’, with a huge and multi-plotted narrative that in the wrong hands could become hugely overcomplicated. But in King’s hands, it never does. Despite its complexity, the story flows seamlessly and unlike some books, I don’t need a character glossary to remind me who everyone is. I’ve been a huge fan of Stephen King since I was thirteen years old, which was also the age I realised I wanted to be a writer. Often sneered at by the critics, he is an incredible storyteller who has had a huge influence on me, and I think The Stand is by far and away my favourite novel of his. I love dark, ‘what if?’ scenarios – the more terrifying, the better, because you get to experience the horrors of these scenarios without, well, actually having to experience them (which needless to say, would not be fun at all). Every time I read The Stand it makes me want to push myself ¬– to try harder and aim higher, and keep striving to improve my own writing. To me, that’s the sign of a truly great book! There are the books that everyone remembers. Whole generations grew up on Narnia or Harry Potter. 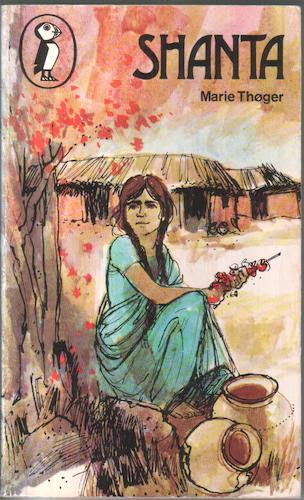 And then there are the books that no-one remembers. Except you. And unless you happen to have held onto a copy, you might end up thinking that you just imagined them, that they never really existed. 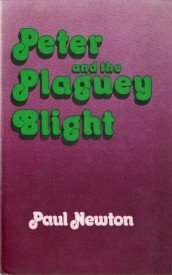 Such a book is Peter and the Plaguey Blight. I guess this was what cutting edge cover art looked like in 1980. How a child could resist, I do not know. I wasn’t that into it at first. Something about the gangrene-esque quality of the cover put me off. But I ended up reading it a lot, because it was – for some reason – the only children’s book lying around at my Granny’s house, where we spent the long summer holidays. The nearest library was a good bus ride away, Amazon didn’t exist and we wouldn’t have had money for it if it did. This was the 80s. And so I read it again and again. It was about a boy called Peter, striving to overcome some kind of mutant mould – the Plaguey Blight. There was adventure, as I remember, and humour, and a building sense of menace. It wasn’t bad. I got used to it. I got to quite like it. It was pretty good. I don’t know if can exactly call it a favourite after all – but I’ve certainly never forgotten it. Unlike, it appears, the rest of the world. So, what’s your favourite forgotten book? And does anyone else remember Peter and the Plaguey Blight?